The very helpful post below is from Nancy Guthrie, from her blog Desiring God. I encourage you to read the post fully. I found it most helpful and I am sure you will too. "People ask me all the time what to say and what to do for people who are grieving the death of someone they love. And I’m glad they ask. I’m glad they want to know what is really helpful and meaningful, and what is completely unhelpful and actually hurtful. And I wish I could tell you that I always know myself what to say. But sometimes words fail me. And I wish I could tell you that I never say the wrong thing. But I do. In fact, a few days ago, I made the mistake I often tell other people not to make. The minute I said it I wished I hadn’t. I should know better. But it’s just what came out. Maybe it’s what comes out when you talk to grieving people too. Here’s what I said. Or more accurately, what I asked:"
Thanks for sharing the blog post by Nancy Guthrie. Recently, one of my friends just lost her husband through suicide. It's very very sad and painful to her when people avoids her because they didn't know what to say to her. Some said things that hurt her. It's really very needful to learn what not to say to someone suffering. Btw, I have been extremely busy and I didn't manage to post for many many months! I am just returning to blogging and thought to stop by and say hello to you. 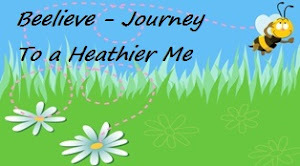 I am hoping to return to blogging and to keep in touch, and be encouraged by others as well as encouraging others. Hope to catch up with you again soon. Take care and have a blessed day ahead.